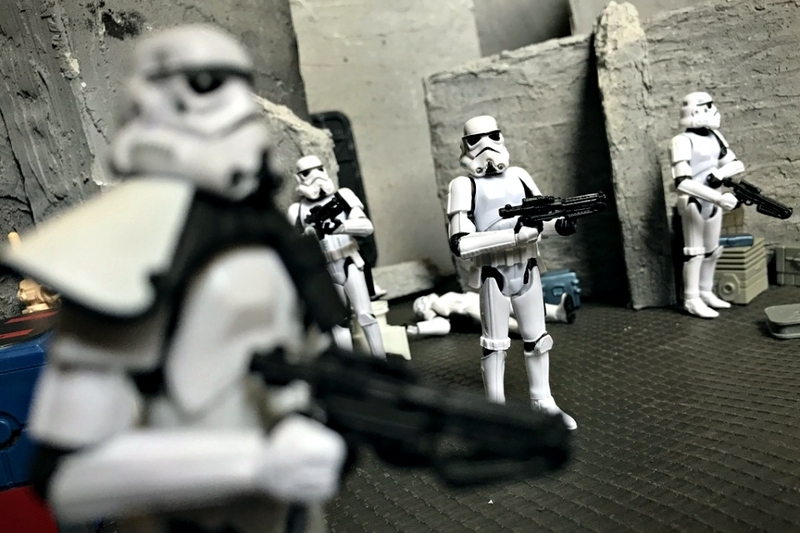 Walmart may be clueless how to distribute collector geared Star Wars action figures these days, but many stores have continued to stock the “kid aimed” Force Link waves with a hint of regularity (though in many areas, not at all!). 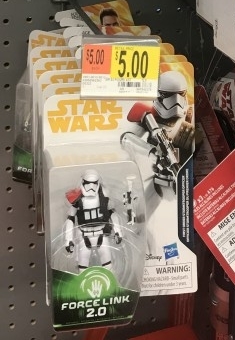 On any note, the latest wave is popping up at various Walmart stores (reports vary from $3.00, $5.00, to full MSRP), so be on the lookout if you’re looking to acquire them. 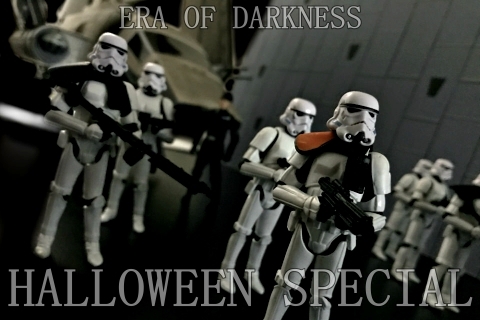 Yakface Forums admin Jodo has put together a creepy Halloween Special photonovel, as a fun prequel to his popular Era of Darkness series. Era of Darkness is Back! Yakface staffer and photonovel guru Jodo has posted a new installment in his Era of Darkness photonovel series – jump on over to the forums and check it out! Yakface contributor Jodo has just released a new installment in his Era of Darkness photonovel series… click here to check it out! Tonight we spotlight the custom work of Yakface forum moderator Jodo, who shows off his great rendition of a Blue Squadron X-Wing from Rogue One. Who knows, maybe Hasbro will release this as part of their upcoming Vintage line? Check it out and share your thoughts after the jump! 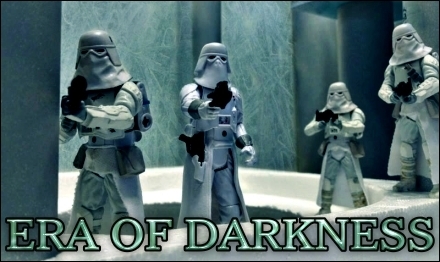 Yakface staffer Jodo has posted his latest chapter in the Era of Darkness Photonovel Series. Check it out and leave him some feedback after the jump! All the attention is around The Force Awakens, but we’d be remiss to not mention that there have been some great new fan-fiction stories being shared in the photonovel section of our forums recently . Forum member CloneCrazy has recently shared the latest installment in his Will Of The Force series, and Jodo has also posted a new chapter in his Era of Darkness saga. 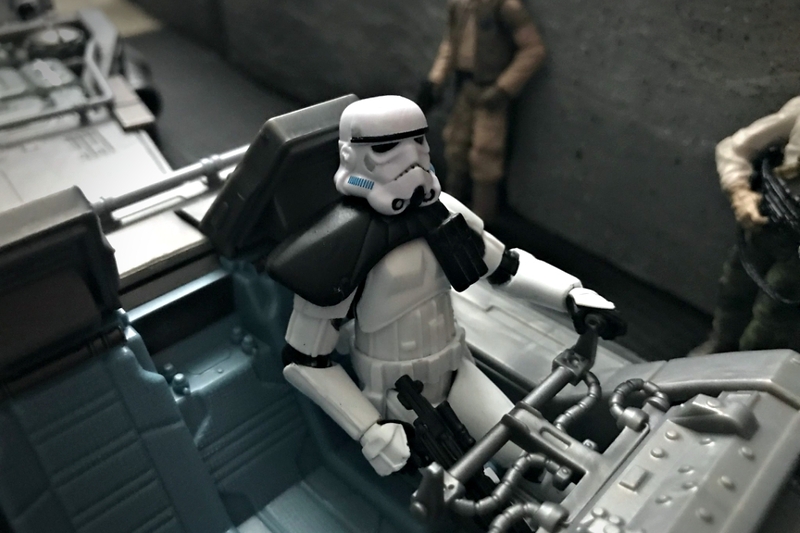 With great special effects, custom figures, dioramas and creative storytelling, both of these artists continue to up their game – check out their latest efforts and other fan stories in the Yakface Forums after the jump! 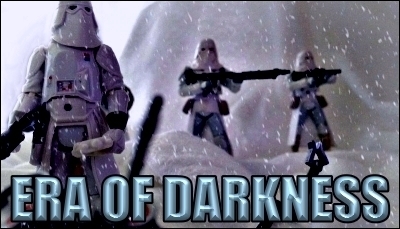 Forum moderator Jodo has recently released the latest installment in his excellent Era of Darkness photonovel series. Kick back and check out this fun new chapter after the jump! Yakface forum moderator Jodo has just wrapped up the latest installment in his Era of Darkness photonovel series. This is the 3rd chapter in his series, and is definitely worth checking out, with a great storyline filled with intrigue. Take a few minutes and head on over to the forums after the jump!